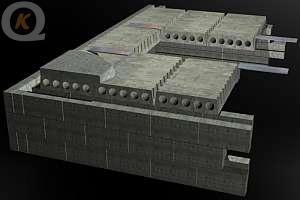 The noncombustible nature of concrete makes it one of the best materials for containing fire. Timber shrinkage and creaking floors will be eliminated. Security, privacy and resistance to wear and tear will be increased. Using concrete slabs in your home provides a facility where by heat is absorbed during the day and released during the night. 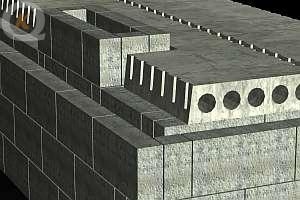 A hollow core slab offers the ideal structural section by reducing the deadweight whilst providing the maximum structural efficiency within the slab depth. The use of concrete floor slabs between levels has proven to cut noise transfer by over 50%. Using concrete floors instead of timber also eliminates creaking floor joists. 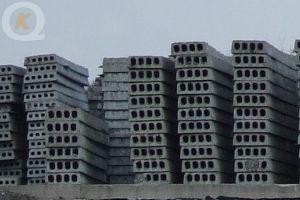 A standard size house can usually be covered with Kilcarrig Precast flooring slabs in less than half a day. Floors can be grouted the same day and ready for use as a working platform the following day. This quick turn around enables greater turnover than with the traditional timber joist system at first floor level or fill and pour at ground floor level. Concrete floors such as those manufactured by Kilcarrig Precast are the preferable option when using an underfloor heating system. Underfloor heating manufacturers recommend that placing the heating pipes within a concrete screed offers "the highest thermal capacity" as against timber alternatives. Be cost effective when compared to traditional methods. 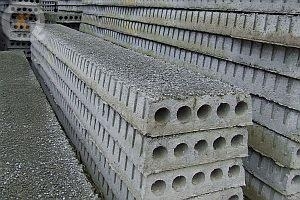 Kilcarrig Precast flooring slabs are narrower and therefore lighter than most other concrete flooring products. 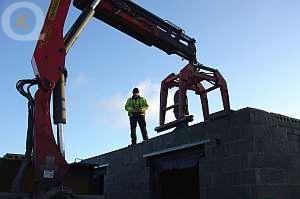 This enables the majority of Kilcarrig Precast slabs, supplied to both ground and first floor level, to be placed by our lorry mounted cranes.floor level or fill and pour at ground floor level. A grouted Kilcarrig Precast floor provides a safe working platform for following trades which simplifies health and safety management. The time and material required for scaffolding will be reduced.